When I know there are people like me who have a passion outside work and no matter what, they continue to follow their heart, it energizes me and I feel obligated to contribute to their passion. These 4 Charlotte indie musicians have been playing music together for over a couple of decades and not all of them are in Charlotte but meet once every year to rock. This rock band from Charlotte is called Karma. 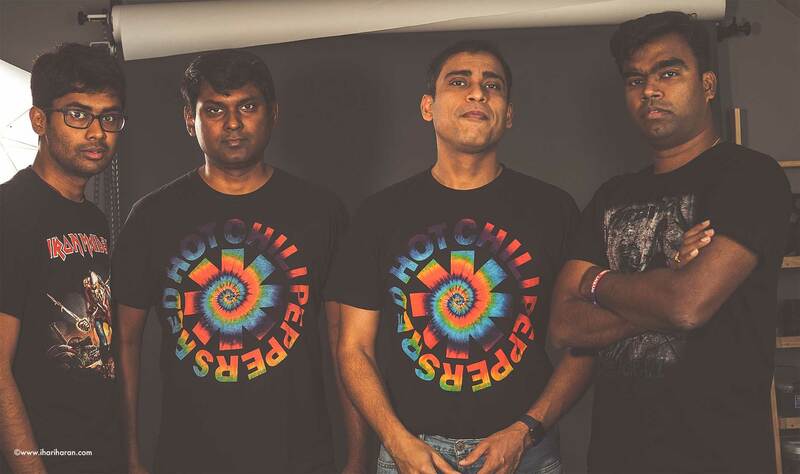 Their first ever original song from Karma Mojito was written and composed by Vikas, Vikram, Nitin & Vinod (from right to left). I had the pleasure shooting their first-time performance of this song Mojito when they played it for their closed group audience. If you’re one of the local Charlotte rock band musicians, looking for a music video, give me a shout.